Accept credit and debit cards – including those with Chip Card technology – with ease, right from your smartphone or tablet. Clover Go comes with easy and intuitive reporting on sales activity, and reliable support is available whenever you need it. Ready out of the box, just charge, plug in and use with an app you download to your Apple or Android phone or tablet* – no lengthy manuals or tutorials required. *Card reader is compatible with most current devices running iOS 8.2 or Android 4.1 (and higher). Goes where your customers are, and wherever your business takes you. Stay up to date with the latest in security by accepting Chip Cards (Chip & Signature) and get the confidence that comes with the tokenization and encryption provided by TransArmor® Data Protection. Enjoy 24x7 customer care and support. Easy access to Clover web dashboard. 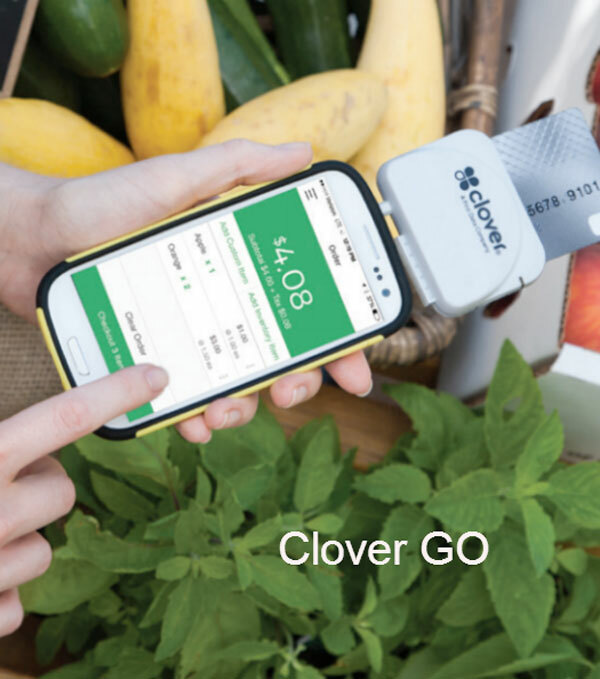 Interested in the Clover GO? How many GO are needed?